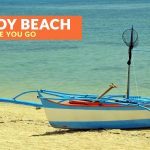 Quezon province is a popular summer and weekend destination because of its accessibility from Manila, and numerous attractions and things to do. 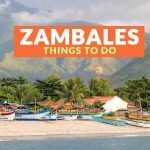 It has many beaches worth a visit or overnight stay, waterfalls to chase, historical landmarks, a colorful festival, and delicious gastronomic offerings. There are many buses that travel to different parts of Quezon so getting here won’t be difficult. Here are some of the things to do and places to visit for your upcoming trip. If you’re in Lucban during the middle of May, join the festivities of the Pahiyas Festival. This colorful tradition dates back to a handful of centuries ago. In ancient times, locals wanted to have their harvests blessed at the parish in town and give their thanks for a plentiful year. Fast forward to today, the festival is one of the most famous in the country, attracting a horde of domestic and foreign tourists. There are now contests for the house with the most beautiful design as well as cultural shows, parades, and other similar activities. Located in Tiaong, Quezon this estate has a restaurant next to a waterfall, traditional style accommodations, a swimming pool, a museum and everything you’ll need for a relaxing overnight stay or day trip. Take a leisurely walk around, ride the carabao cart or go on a bamboo raft ride to enjoy nature. Taste delicious Filipino food and drinks after a day of activities. There are also cultural shows that showcase the best of traditional dances from different parts of the country. Day tours are from P1100 to P1600; rates vary depending on weekday, weekend or holiday trips. 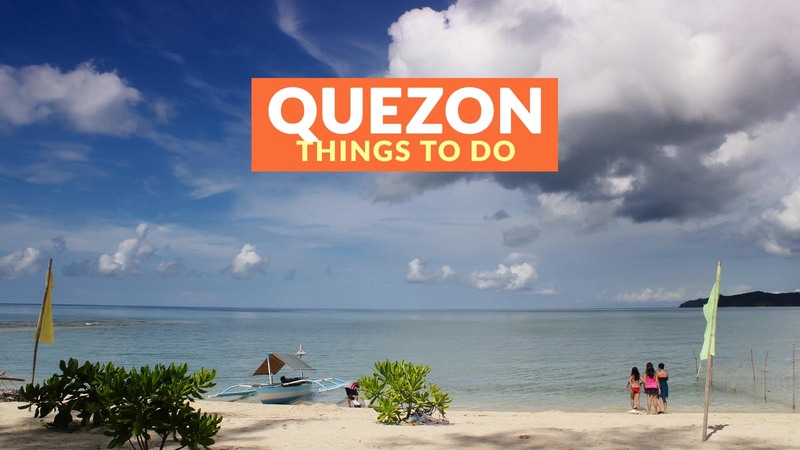 Quezon is blessed with many beautiful beaches within reach from Manila and nearby cities. One of them is Cagbalete Island. Located in Mauban, this stunning destination has a golden shore, clear, mirror-like waters, diverse wildlife and a grove of agoho trees. The surroundings are picture-perfect and relaxing. From Manila get on a bus bound for Lucena; the fare is around P210. Once at the Grand Terminal, board a van or bus going to Mauban for about P70. From Mauban, you can walk to the port and get on a public boat to Cagbalete for P100. If you are looking for an island getaway, Jomalig is the one you’re looking for. The island is around six hours away by boat from mainland Real, Quezon. Its golden-sand shore, turquoise waters and idyllic ambiance make it an ideal place to forget your worries. 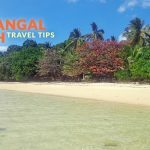 Salibungot Beach and Kanaway Sand Bar are must-visits. To get to the island, board a bus bound for Real in Legarda, Manila for approximately P200. Once in Real look for the port with boats going to Jomalig. The fare is around P400. Quezon is a near destination where you can enjoy island-hopping. 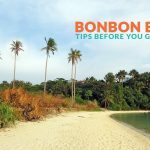 Borawan, Dampalitan, and Puting Buhangin in Padre Burgos are places you can visit during this activity. Borawan may be developed with toilets and a store, but you can still catch a glimpse of its natural beauty. 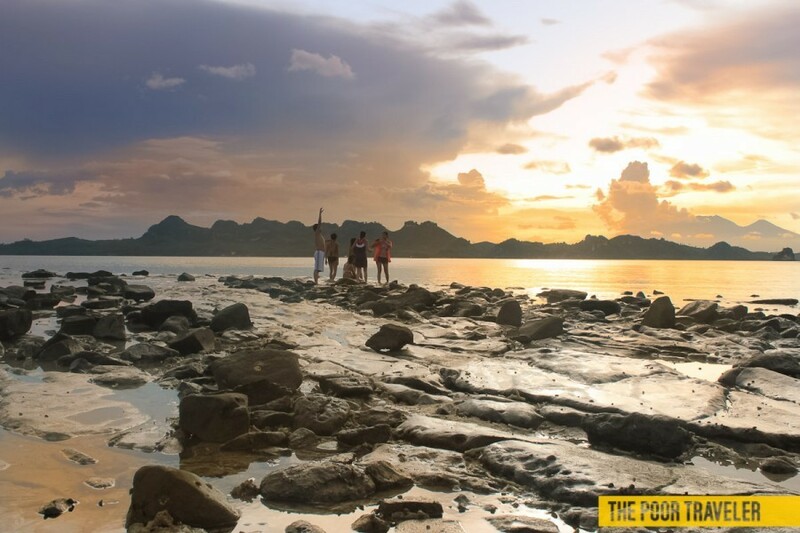 Dampalitan Island is an ideal spot to watch the sunset, go camping and just bum around the beach. Puting Buhangin has a whitish shore and azure waters. To reach the jump-off point for the islands, get on a bus bound for Lucena Grand Terminal. The fare is around P210. From the terminal, board another bus going to Padre Burgos for P60 and alight at QCRB Bank. From the bank hire a tricycle to Aplayan. You’ll see many boats for rent for island-hopping. The rate is P1800 per boat for three stops. It can accommodate up to eight persons. For those who are looking for a different place to visit, Balagbag Falls is a possible day trip. This multi-tiered waterfall has a cool pool to soak in. You can go up to the second tier and jump off the cliff to get your adrenaline pumping. To get here, board a bus bound for Real, then alight at the Real-Mauban junction. The bus fare is around P170 to P195 depending on if you rode the ordinary or aircon bus. From the junction, board a jeep bound for Mauban and tell the driver you’re going to Balagbag. There’s a P20 entrance fee. The province has a rich history exemplified by the many centuries-old churches in various districts. Some of the places to include in your itinerary are the Lucban Church, Saint Francis of Assisi Church in Sariaya, Tayabas Basilica and the Saint Ferdinand Cathedral in Lucena. Quezon’s popularity as a weekend destination has led to the development of tourism establishments. There are many hotels and guesthouses for all budgets in major destinations such as Lucban and Lucena. You won’t have a difficult time booking in both places. 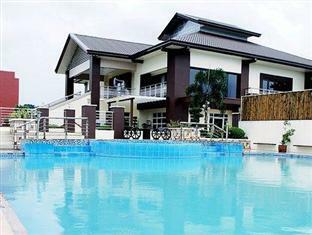 There are also resorts and camping sites in Padre Burgos and Mauban. 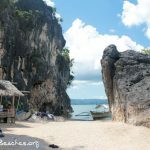 Borawan and Dampalitan, for examples, are popular beach destinations where you can spend the night in. 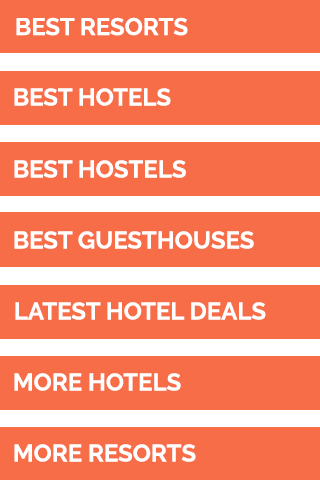 If you want to stay in the city or town, here are some of the top hotels in Quezon as reviewed by Agoda users (as of January 2019). Quezon Premier Hotel. Photo was provided by the hotel via Agoda.